It's been about 1 month since Darkspell released--2 weeks since I've had my print copies! Is life suddenly rainbows and pink clouds? Nope. The book dream doesn't stop here. Robin, welcome to my Writer's Cave! I've basically gone AWOL for the past month--I hope you haven't given up on me. Sorry. I've decided to set a lofty goal for myself and that is to complete 2 novels before the year is out. I started writing Darkwraith over a month ago, Darkspell's sequel. Well, since I've never officially written a sequel before, this has been a HUGE challenge. So my muse decided to take me into another direction. Enter Kursed. It's a story about a Gothic boy who ran into a family curse that changes him into a soul-eating demon. I started this under a month ago and I've reached the 57K word mark. Still going. It's flowed, ebbed, and flowed again. My muse has rewarded me. Now I have many ideas on how to expand on Darkwraith and I'm excited to get back to that as soon as Kursed is done! That's where I've been. I intend to remain low for the rest of this month as well as December. I hope to draw from the eternal waters of inspiration, motivation and creativity as I fly--sometimes trudge--through my writing journey. Where are you at in your writing goals? Are you meeting them? Are they running away from you? Today, Kristie Cook and I have decided to abduct each other's blog (please visit me here!). I've been blown away by the things she said today and I bet you will too. If you're a writer--doesn't matter where you stand--you need to read on! You will get reviews, people’s opinions written for the whole world to see. These are usually great, but when you’re opening the page to read a review, it’s normal for your gut to feel like you swallowed a school of flopping fish. By the time you’re done reading the review, the queasy feeling will either turn into your heart growing three times its normal size and a smile being plastered on your face or into the desire to throw things and yell at the computer about how wrong the reviewer is. I’m sure you won’t experience the latter often because I know people will love your book. But even those who don’t do you a great service. After all, if every.single.one of your reviews is glowing, people wouldn’t believe them. It’s also normal to check all the retailers’ sites, Goodreads, Shelfari, etc., on a daily or even hourly basis to see if any new reviews have been posted. This compulsion will wear off after the third book or so…although it might rear its head right after a release. Once your book starts climbing in sales numbers, it’s perfectly normal to refresh the sales report screens and/or product screens to watch your rankings climb on an hourly basis. You may be tempted to do it more often than that (not that I, personally, ever felt the need every five minutes, no, not at all), the sites only update every hour, so it’s kind of pointless. Be sure to print out every single review and every piece of fan mail. Keep copies on external hard drives or flash drives. Blogs disappear, taking their fab reviews of your book with them. Email files become corrupt – when I thought I’d lost mine for good, one of the worst parts was thinking I’d lost all my fan mail. It’s not neurotic at all to keep these things. Trust me. I’m a writer and we all know writers are perfectly sane. Seriously – when you do get a less-than-stellar review or you’re struggling with writing the next book, those reviews and fan mails can be exactly what you need to get back on track. They remind you that although one person might not have loved your story or writing, all these other readers have. They remind you that real, live people out there (not just family andfriends, who may or may not be real and live) are waiting for your next book. They remind you that there’s a reason you write. Finally, enjoy the ride. You only get one debut book. There’s nothing else like it. Cherish every moment because it really is just a stop on your writer’s journey. You have more books to write, more fans to meet, more excitement to come. And we’re all here with and for you during the ups and downs and in-betweens. Best wishes, Elizabeth and Darkspell! Your journey has only just begun. Kristie Cook is the award-winning author of the best-selling Soul Savers Series, which currently includes Promise and Purpose and the newly released Genesis: A Soul Savers Novella. 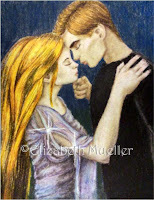 The third book in the series, Devotion, releases February 2012. She can be found at www.KristieCook.com. Whoa, Kristie, thank you for these words of wisdom. I'll always remember! Have a great Thanksgiving, guys! You'll definitely find more than meets the eye in this adventurous read. As Kira fights her internal struggles, she learns how to understand herself through the love of her friends Lydia and her brother, Octavian--whom she is hopelessly drawn to. This is a story about friendship and love. I enjoyed the character development. How they interacted with each other, how they fought for love--and I especially enjoyed Octavian's fierce devotion to his sister, Altaria. If you enjoy adventures, love and friendship, this book is for you! 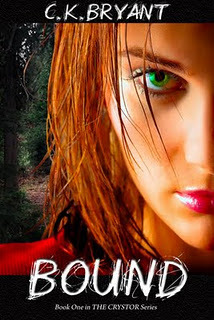 You can order a signed copy of Bound here, Kindle download here, and join Christine's grand giveaway here! I am SO excited for my friend, Ali, whose debut novel releases November 11th, 2011--tomorrow! YAY! Ali Cross is a super fantastic writerly friend of mine whose writing rocks. Her characters bleed from the pages, but don't let that scare you. You'll come back for more! I had 3 online book launches. I'm spoiled. They all went very well. The response made me feel like a red-carpet celebrity! Thank you! Darkspell has many readers swooning and crying and gripping pages as they've reported to me personally. How wonderful! Your chance to win Darkspell is not over. Click here for details! I need a break. I've been working overtime and I need to lay low for this month. I'm working on Darkwraith--Darkspell's sequel as well as Kursed--another YA Paranormal Romance, but through 1st person MALE! (a few readers inspired me!) It's my goal to finish both books before the New Year! Wish me luck. I found an image on Facebook that is feeding my Kursed muse. And now, the main character is NOT a vampire, but something different . . . I have a few posts scheduled for the month, though. Don't miss out! 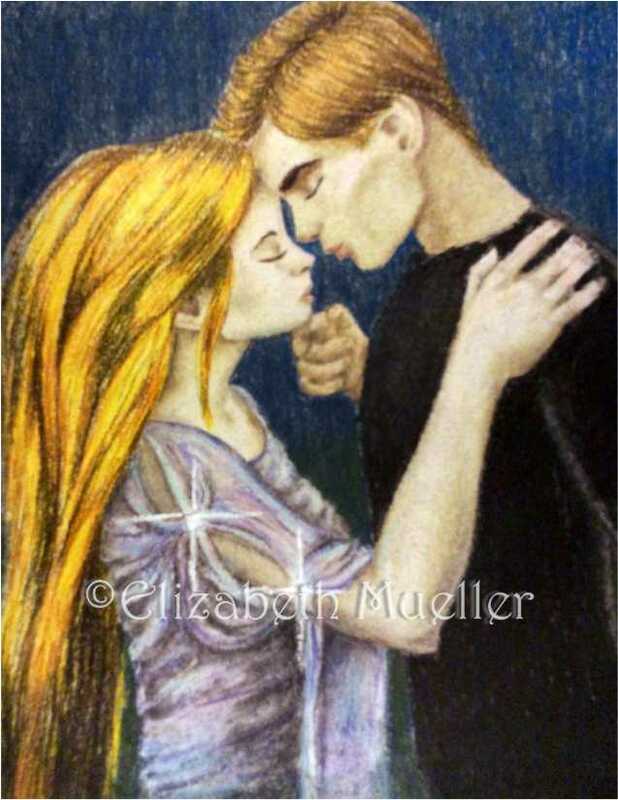 Meet me this Saturday at Mormon Mommy Writer's blog for Lisa Turner's Darkspell review and guest post! Something to ask: What is your goal for NaNoWriMo? I'd like to take advantage of this time and thank the awesome folks who made my Book Launch possible! you've won $10 Amazon gift certificate! you've won an ecopy of Darkspell! click on button for list! It seems that there is always something new each month, doesn't there? My baggage is comparing myself. That's one of the most destructive human behaviors that I have a hard time getting rid of. It used to be comparing how neat a friend's house is compared to mine, but now, it's how much more happening other blogs, facebookers are compared to mine. I'm all over the place, I feel, blogging, commenting, following, and yet, it's slower than a snail's trail here. I know how Alex does it, but with a family of 4 kids among other things that rip me apart, how do I keep up with him? I can't. I spoke with a friend of mine last month about my feelings. She tells me to think about losing the most important thing--this would put all petty qualms into perspective. You know what? She's right. By golly, I am doing my darndest here in my nook and it's my downfall to compare myself. I love to encourage and uplift others and now I should feed myself my own meds: It's okay, I'm doing my best and I should be happy with what I can do. End of story. How do you squelch envying?